Pulse Oximeter is a small, lightweight and noninvasive clip-like device that painlessly attach to a body part like finger tip, earlobe or toe to measure oxygen levels (SpO2 %) in the blood. Pulse oximeters are beneficial for people with respiratory disorders such as asthma, COPD and other cardiovascular conditions. 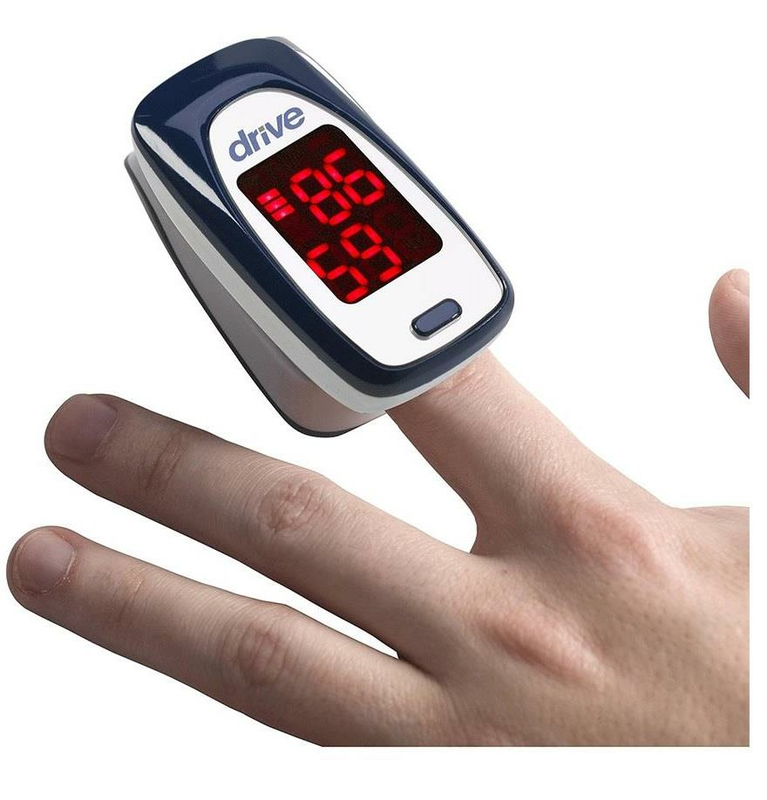 A finger pulse oximeter is equipped with advanced technology to easily detect pulse rate values and blood oxygen level. 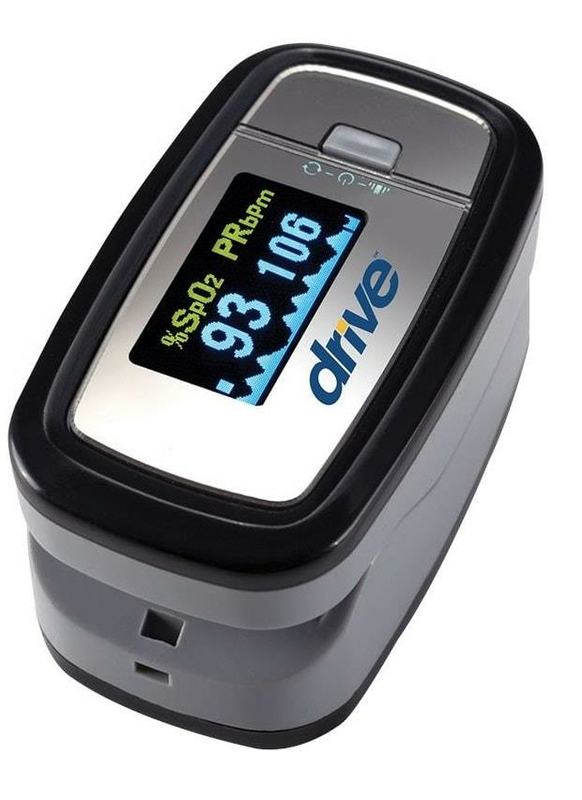 Personal Pulse Oximeter helps monitor your oxygen saturation level so you can adjust your activities at home, during exercise, and social gatherings. People with COPD, asthma and other respiratory conditions can maintain an active lifestyle by regularly checking the blood oxygen levels in the body and taking timely actions to prevent the COPD or Asthma from getting worse. Doctors find pulse oximeters helpful while assessing the effectiveness of lung medication or oxygen therapy and monitoring oxygen levels during and after surgical procedures that require anesthesia. Pulse oximeters are also commonly used to study sleep apnea and during research on medical treatments for respiratory disorders. Where to buy Pulse Oximeters online? 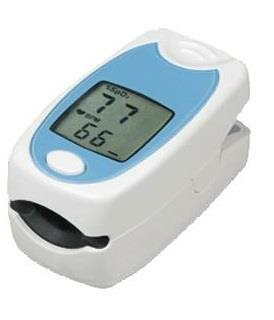 You can buy pulse oximeters from a wide selection of products available at shopnebulizer.com. Our extensive collection includes figertip oximeters, handheld oximeters, and pediatric oximeters from top brands in the industry. Oxygen is required by every cell, tissue and organ to survive. Without adequate supply of oxygen, cells begin to die. The severe symptoms caused by dying cells can ultimately lead to multiple organ failure. The lungs filter the oxygen and distribute the oxygen into the blood through hemoglobin proteins in red blood cells. Pulse oximeter helps measure the oxygen saturation which is the percentage of oxygen in hemoglobin. Oxygen saturation (SpO2 %) is the indicator of amount of oxygen reaching the vital organs. Pulse oximeters can effectively tell how efficiently the oxygen is being carried to the vital organs and body parts farthest from heart such as legs and the arms. In healthy individual the oxygen saturation levels are between 95 and 100 percent. Immediate medical attention is required when the oxygen saturation levels drop below 90 percent. Pulse oximeters are commonly clipped to a finger in order to read the blood flow. One side of the clip shines the light beam through a relatively transparent area of the skin which is detected through another clip on the other side of the skin. The oxygen saturation is calculated by pulse oximeter by estimating the amount of light absorbed by the blood. The oxygenated or deoxygenated blood absorbs the light differently. A complex equation and data configuration inside the pulse oximeter is used to determine the pulse rate and oxygen saturation levels which is then displayed on the screen. How to Operate Pulse Oximeter? Step 1 - Place the clips of pulse oximeter on your finger. It is completely painless. However, a small amount of pressure can be felt. It is best to remove fingernail polish before attaching the device to the finger. Step 2 - Keep the clips attached in case you want to continusely measure oxygen saturation rate during outdoor activity or exercise sessions. A single reading can be taken quickly. Make sure not to fit the clips very tightly for a prolonged period to avoid the risk of cutting oxygen supply from surrounding vessels. Step 3 - Once the pulse oximetry test is over remove the clips and note down the readings. Low Oxygen Level - 92% or less (at sea level) indicates hypoxemia, or deficiency in oxygen reaching vital organs in the body. Normal Pulse Rate - 60-80 beats per minute for Adults. Pulse oximeters cannot detect changes in the pulse or heart rates. 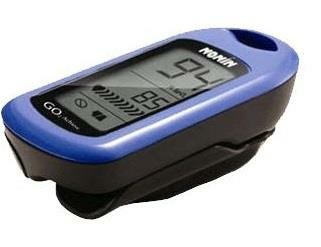 Pulse oximeter cannot detect carbon monoxide poisoning. 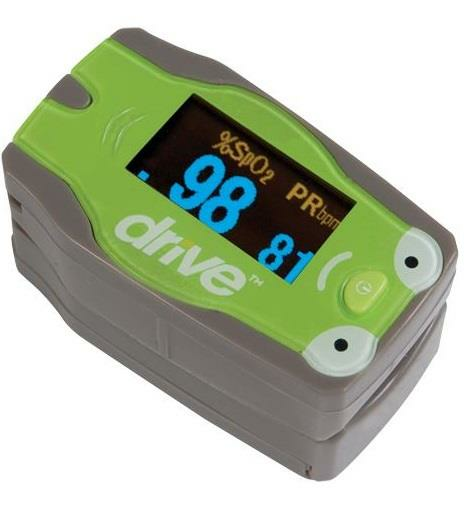 Pulse oximeter cannot measure bilirubin levels. Pulse oximeter cannot measure lipids in blood plasma. The pulse oximeter readings are susceptible to interference from temperature, external light, and nail polish color. If a person wearing pulse oximeter rolls over in their sleep it might issue a false alert. Pulse oximetery is an easy, quick, noninvasive, and painless test to keep you aware of your pulse rate and oxygen saturation level. There are no known risk factors of using pulse oximeters except for minor skin irritation, skin redness and sensitivity arising from the lubes used in some probes or clips. 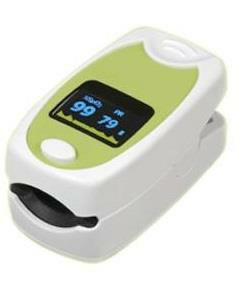 There are pediatric pulse oximeters available in market for young children and infants. Changes in pulse oximeter readings in response to changes in environment or climate can help signal the health issues. Special medical attention is required for people who experience signs of oxygen deprivation such as difficulty in breathing, dizziness and shortness of breath. While pulse oximeters are safe to use at home, in case you experience tingling, numbness or changes in skin color after using the device, consult your doctor immediately.